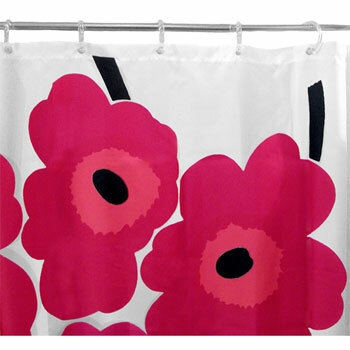 It’s been around since 1964, but the Unikko design from Marimekko is still guaranteed to catch the eye – especially when it’s used in the bathroom as the Unikko Shower Curtain. The picture is enough really, but just to add some detail, this is a polyester shower curtain (which means it’s machine washable), measuring 180 x 200cm. But note you don’t get the rings – just the curtain. In a choice of three colourways, it will cost you £38.